UPDATE: Thank you to everyone who has provided support to keep MindFreedom’s website as a Beacon for Psychiatric Survivors on the Internet! Thank you for your past support of MindFreedom International’s mission. Whether you are new to us or you have been supporting us since the beginning when David Oaks and Janet Foner founded Support Coalition International—later renamed MindFreedom International—you know that more than ever, we need a revolution in the mental health system. In a few weeks, MindFreedom International (MFI) will build a new website. This is a big undertaking for an independently funded grassroots organization, and we need your support to raise $5,000 by December 31st. If your membership is lapsed (you have not made a donation for over a year), this is a great time to renew. Even if your membership is current, consider making an end-of-the year one-time donation. Our decision to replace our website was not made lightly, since this is not a luxury, but a necessity. We are facing a critical deadline because our current web host announced that they will no longer support our outdated Plone platform. Failure to meet this upcoming deadline would result in the loss of our website and the loss of a lot of our data. In fact, we could lose archived information dating back since the beginning of the psychiatric survivors’ movement in the 1970s. The impending deadline, despite being scary, is actually a chance to convert risk into opportunity. By replacing our website, we could restructure how content is organized on our site and improve its functionality. For nearly two decades, our website has been an oasis of critical thinking in a desert of medical propaganda funded by drug companies. Help us continue filling this vital need. Protect our knowledge base and other historical data from being lost . Preserve our high Google ranking and visibility by protecting and updating all links. Organize our content so that people can quickly find critical information they need to protect themselves or a loved one and make informed choices. Allow new visitors to quickly sign up for regular news, alerts, and announcements. Continue to teach best practices to psychiatric survivors/activists and emerging leaders. Attain “SSL” protection, shielding our site from potential hackers and spammers. Modernize our website so stories and issues are conveyed in a compelling manner that will inspire and inform activism. Help us continue to leverage the Internet and cultivate a revolution in mental health. 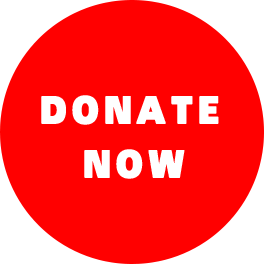 Consider making a tax-deductible donation of $25, $50, $100, $500, or more today to save and improve our website. Credit card donations can be securely uploaded here: http://www.mindfreedom.org/join-donate. Be sure to check “New Website” when indicating where you want your gift applied. MindFreedom International PO Box 11284 Eugene, OR 97440-3484 Thank you for supporting a revolution in the mental health system today with your generous gift. MindFreedom International TRIUMPHS in 2012-2013!